Manufacturer Part Number: 98662410102. Chassis: 986. Model: Boxster S. Make: Porsche. Condition: Used. WINDOW REGULATOR AND MOTOR FOR SALE. THERE IS A LITTLE TEAR ON THE REGULATOR CABLE. Check before buying! We take multiple pictures in an attempt to clearly portray the general color and condition of the item. 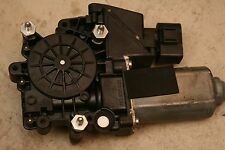 Porsche 996 / Boxster window motor, right side. Excellent condition. Fits 996 from 1999-2005 and Boxster (S) from 1997-2004. Porsche Boxster 1997-2004. Porsche Boxster S 200 0-2004. This Regulator is in good working condition. 987 BOXSTER & 997 - 911. FRONT LEFT WINDOW REGULATOR. 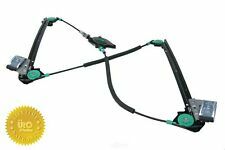 if you are looking for the Left Side Window Regulator its. Go to top of page. Ø Must have an RMA number assigned. Ø Do not have missing parts, hardware or instructions. Removed from a 2006 Porsche Boxster. Item is an OEM part and may have visible wear from normal use. We reserve the right to replace failed parts with equal to or greater than original mileage parts. 986 BOXSTER & 996 - 911. FRONT LEFT WINDOW REGULATOR. 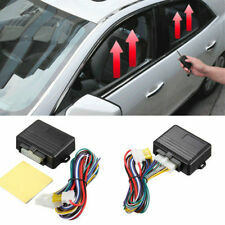 If you are looking for the Right Side Window Regulator its. r o ( 29. ) 2016-03-18. 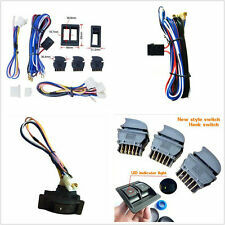 Ø Electrical Parts and Components (Such as: ECU's, coils, blowers, relays, etc.). (986 BOXSTER & 996 - 911. FRONT RIGHT WINDOW REGULATOR. if you are looking for the Left Side Window Regulator its. s s ( 452. ) 2016-06-04. Works Great! ) 2016-06-05. very fast and unit was spot on! This is an excellent condition Bosch vent motor. 997.624.182.06 Vent Motor. 1997 1998 1999 2000 2001 2002 2003 2004 Porsche Boxster. Window Regulators ONLY. 1999 2000 2001 2002 2003 2004 2005 Porsche 911 Fits 996 Series ONLY. NOT Included: Power Motors. Our hours of operation are. Genuine Porsche part, recently made: not been lying around. Porsche part# 986 624 102 03, supercedes# 986 624 102 02. Window Motor RIGHT/Passenger side. If you buy more than one item, wait for an invoice. 1999 2000 2001 2002 2003 2004 2005 Porsche 911 Fits 996 Series ONLY. 1997 1998 1999 2000 2001 2002 2003 2004 Porsche Boxster. Window Regulator ONLY. NOT Included: Power Motor. Our hours of operation are. The Porsche Boxster comes with all the power of a sports car while still offering plenty of luxury. If the window regulator doesn't work like it should, then a simple replacement will restore this luxury to your classic automobile. Even if you've never changed out window motor accessories before, you'll find that working on your Boxster is fairly simple. How do you change the Porsche Boxster's window regulator? Remove the interior door panel and then take off the plastic door cover. You'll find a pair of window mounting bolts that you can remove easily, as well. Move the window on the doors of your Boxster just a bit so that you can get to the regulator. You'll be able to replace the motor and all of the other regulator accessories once you can access these interior parts. 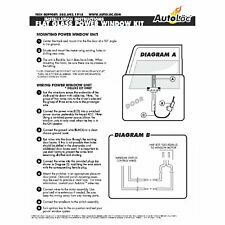 Do you need separate window regulator parts for both doors? Porsche produces separate left and right regulators. You'll want to make sure that your new piece will fit the door that you need to work on. Each window regulator is a mirror image of the other. This allows the power windows on your Boxster to sink quickly. Since Porsche makes sure to mark each window regulator, you won't have to worry about getting the wrong parts. This is in spite of the fact that the driver side window piece looks almost like the one that goes on the other door. What does it mean if a motor has been rebuilt? Some third-party manufacturers remove the window assembly and regulator clutch from damaged Porsche Boxster models. They'll then rebuild these components into like-new door components that you can install in your own car. You shouldn't be able to tell the difference between a rebuilt window system and official Porsche Boxster replacements. These are an especially good option to replace pieces on any limited-edition vehicle that Porsche doesn't readily make extra components for. Which Porsche vehicles does the 911 Boxster lift regulator fit? Porsche made this part for all of its convertibles made between 1997 and 2004. This includes both the base convertible and the Boxster roadster. If you have a hardtop Porsche, then you'll need the original window regulator strut instead of this door panel adapter. Can you replace the power cable separately from the mechanism? Yes, you can replace the cable while leaving the rest of the assembly intact. To repair the cord, dissemble the passenger side panel like normal and remove all of the electrical connections to reduce the risk of shock. Make sure that you're working in a safe environment and that you've disconnected the power to your door frame. You can then install a new power cord.